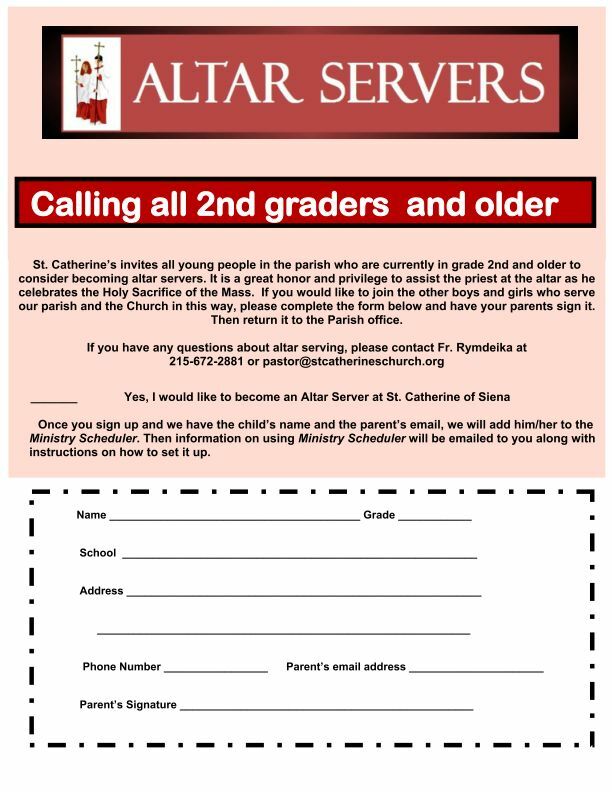 ​All children of the parish beginning with second grade are eligible to become Altar Servers, the only requirements being the completion of a formal training program and a willingness to be of service at the Altar of the Lord. ​Serving at the Altar is a special privilege. It allows you to be close to the altar, to carry the cross, to carry the light of Christ, to wear the robe of baptism, to hold the book of prayers, and to "swing the thing that makes the smoke" (the thurible). How wonderful it is to serve the Lord! 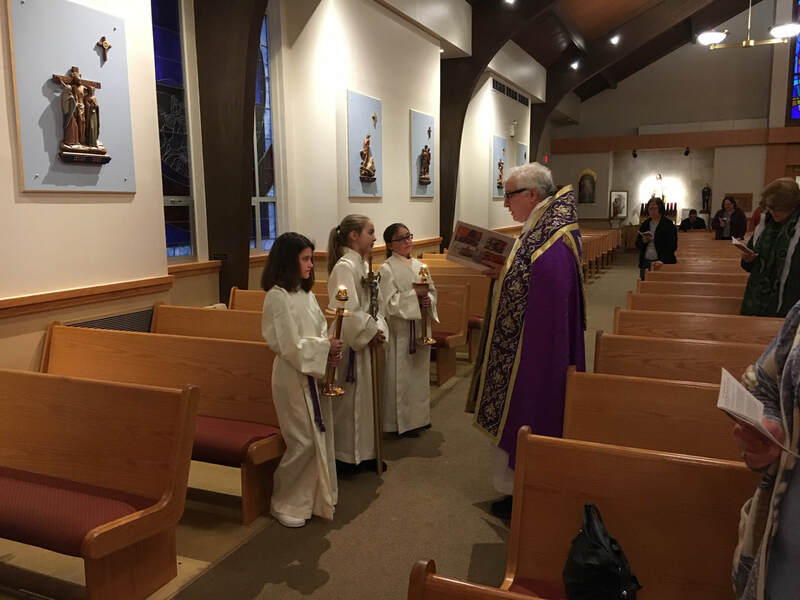 Altar servers help at Sunday masses as well as weddings, funerals, Stations of the Cross.